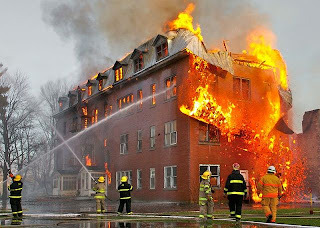 Firefighting is the act of extinguishing fires. A firefighter fights fires to prevent loss of life, and destruction of property and the environment.Fire is dangerous not only for victims but also for firefighters. To make firefighter easier we need a robot which can extinguish fire in adverse circumstances. Below,I am sharing links collected from various trusted sources along with PDF. I hope you will find them useful.